The laws of many European countries, on the insistence of the fire, will make the installation of detectors mandatory in homes or workplaces. For minimum protection, it is advisable to place a smoke detector in every room whether at work or at home. Maximum protection is attained with a detector every 7 meters depending on the volume of the room to protect. True smoke detector with integrated camera surveillance. 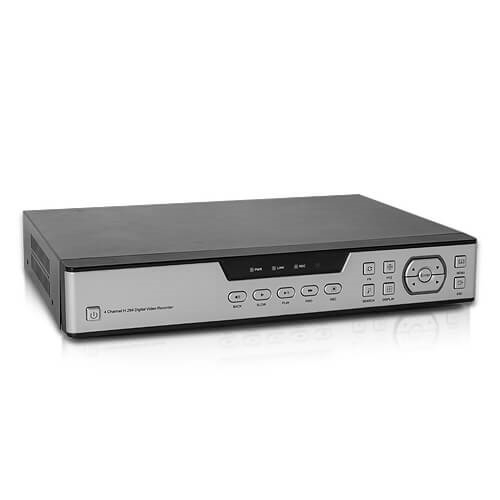 This exclusive security product protects your home or business more easily and discreetly. 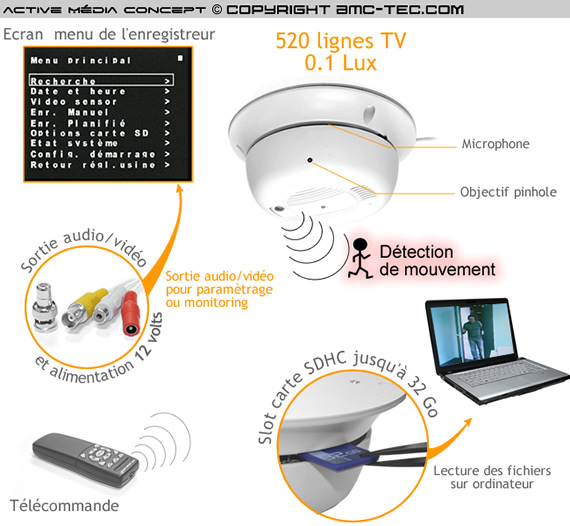 This product works as both a smoke alarm, but also as a surveillance camera. 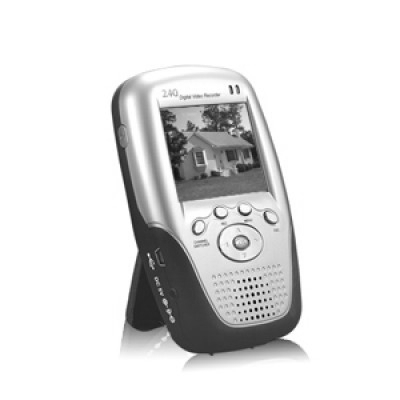 With the image quality of its wide viewing angle provided by a Sony CCD (+ audio). 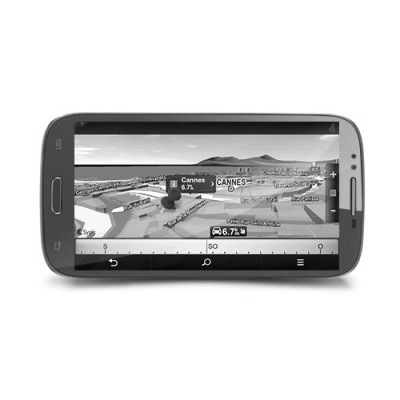 Its ultra-miniature integrated camera is perfect for monitoring your office, shop or home. As the mini camera and microphone alarm are hidden inside a real smoke detector, no one will ever suspect you make a video that you protect your assets or control the security staff. The integrated camera alarm at a smoke detector is also ideal for trapping criminals, because no opportunity to enjoy the mini camera built into the alarm smoke detector. 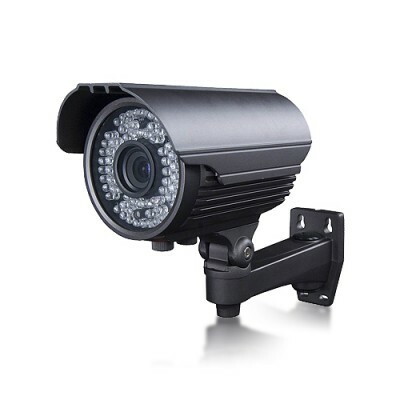 This video camera surveillance is effective in monitoring the risks to businesses and continued monitoring of offices and shops. It is also perfect for controlling access to premises and ensure compliance with codes of settlement internal staff. 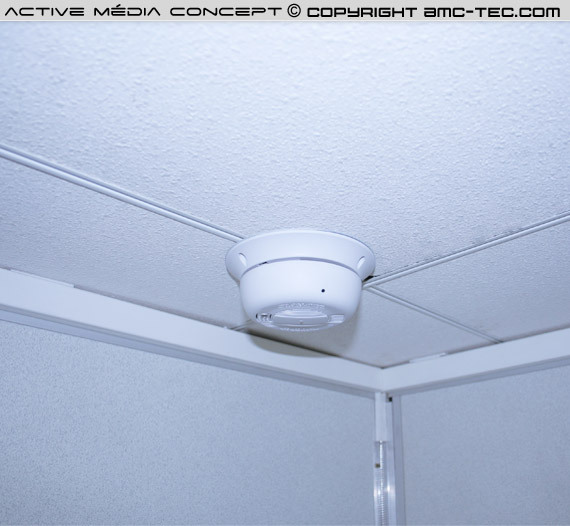 This camera hidden video surveillance in a smoke detector color camera has a minimum brightness of 0.5 Lux and a horizontal resolution of 380 TVL for a target of 3.7 mm. It operates with a supply of 12 volts. 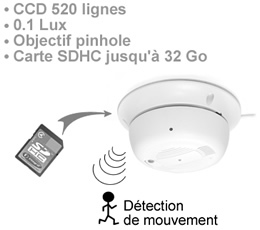 Soon after the European law every house, apartment, or store will have a smoke detector alarm. Therefore no one will notice the presence of this smoke detector equipped with a video monitoring of Camerti. This mini camera hidden in an alarm smoke detector is a perfect tool for monitoring discreet. Not recommended for use in time smoke detector. The smoke detector is an electronic device that analyzes the air at the ceiling. 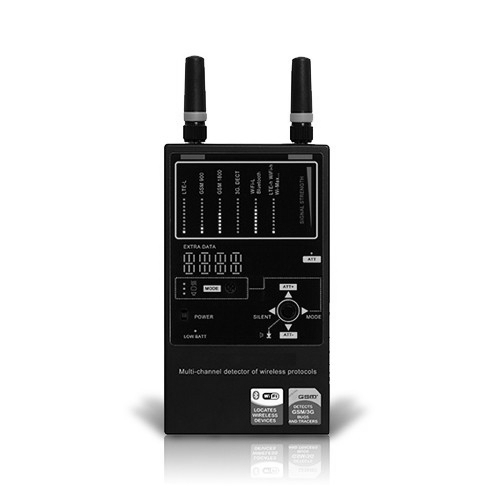 When he sees the smoke, it emits an alarm sonore.Il meets the CE standard and EN 14604. Surveillance Camera type hidden, concealed in a smoke detector. 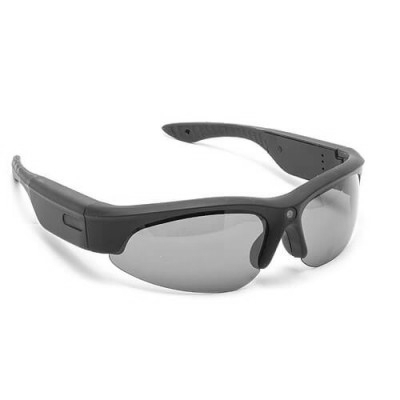 This camera is a technological revolution, it allows you to see without being seen. This spy camera video surveillance is the most discreet possible. This miniaturized ultra mini camera you will get an excellent image quality, because it has a sensor 1 / 4 "Sharp CCD for a resolution of 420 lines.